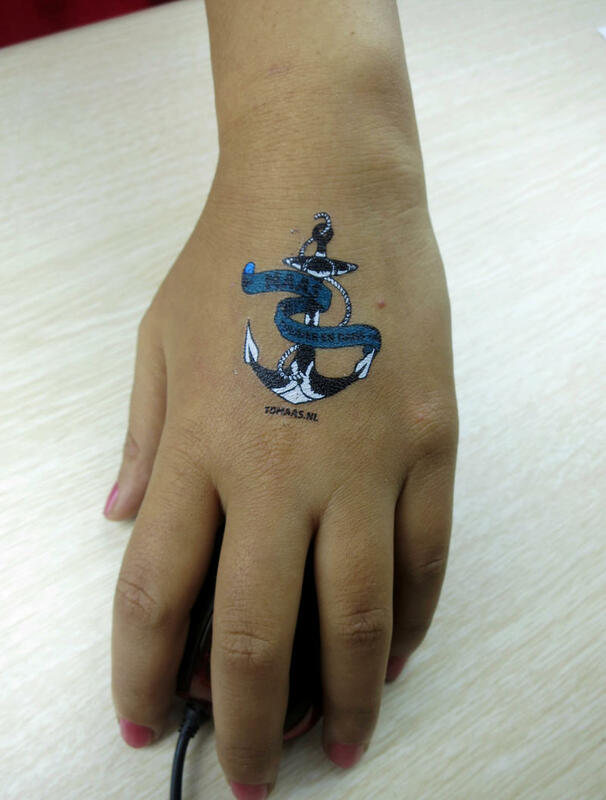 Our temporary transfer tattoos in their most common size, perfect for most of your marketing campaigns. The tattoos are ready cut, which makes it easy to handout or add to your direct mailings as an insert. 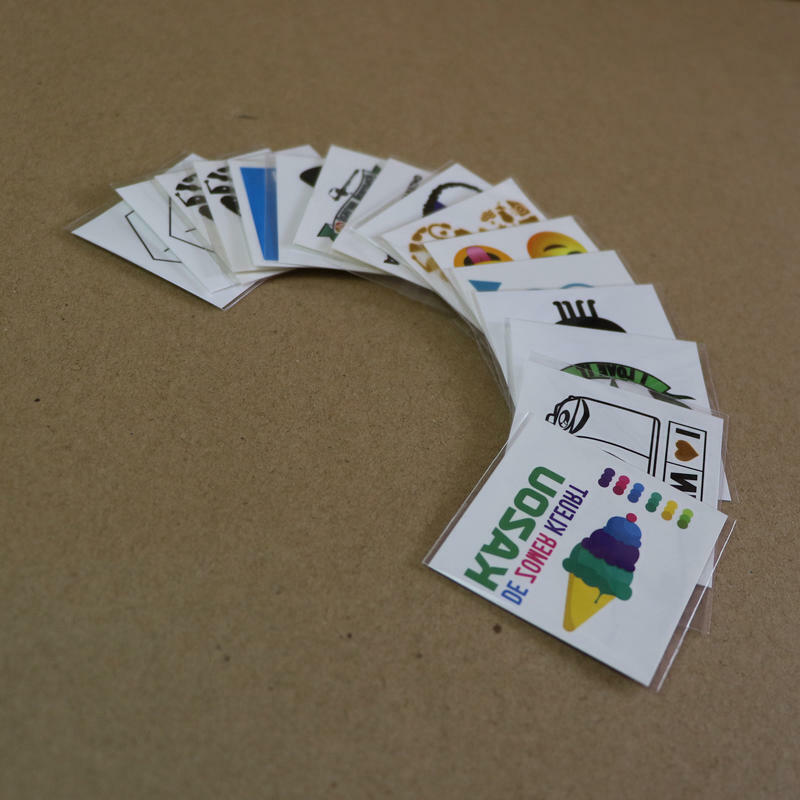 We can print these tattoos on the front- and backside with your logo or artwork. Get the rebel in your customers or target group out! A cheap item with big exposure! Our designers will be happy to assist you by creating artwork with your logo or slogan. Please check below for a quick online quotation for cost and lead time or contact us for additional information or custom price. How would you like us to print the frontside? How would you like us to print the backside? Select the special materials you wish to use. Save 46% per piece by doubling your order to 4.000 pieces.